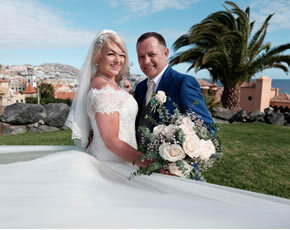 Sunshine, a blue sky and a beautiful couple that wants to get married abroad surrounded by their loved ones in the Canary Islands. 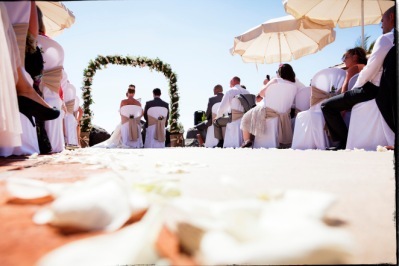 Thanks to Nadine García Breuer, their wedding planner abroad, the celebration was a big highlight and unforgettable memory! 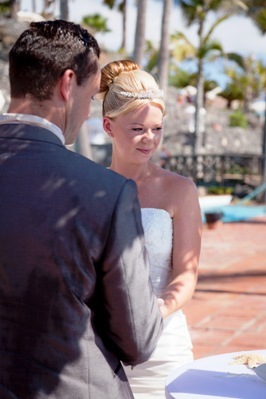 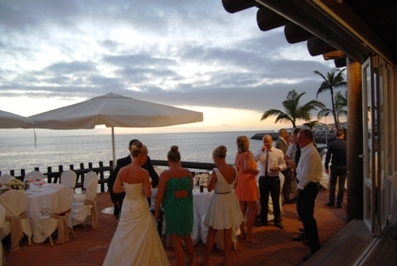 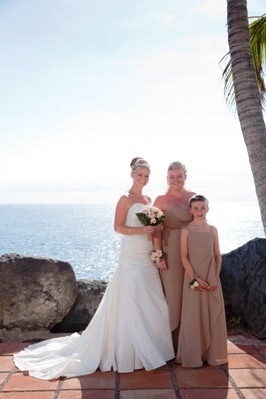 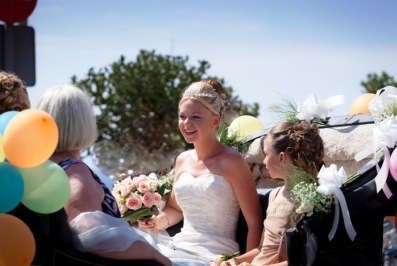 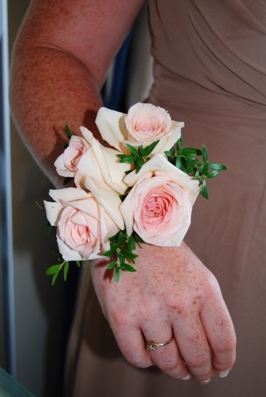 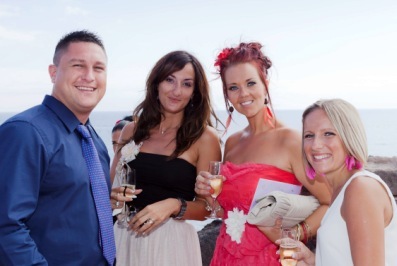 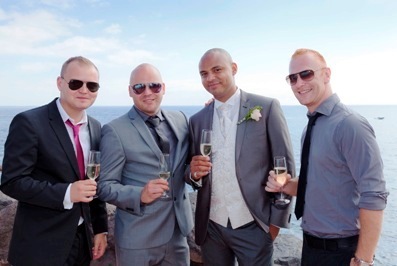 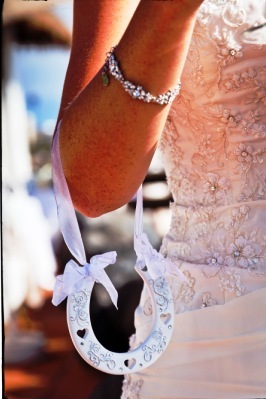 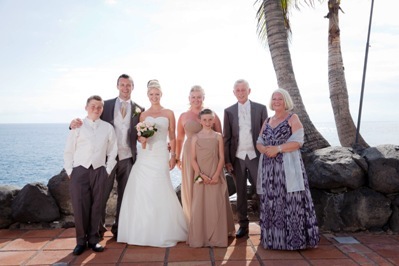 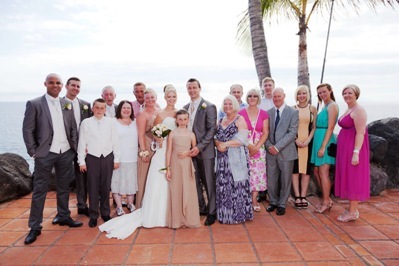 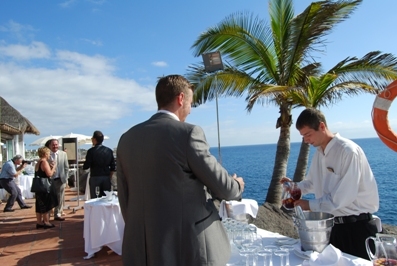 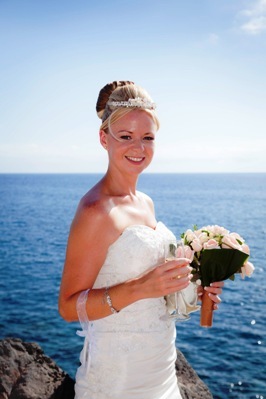 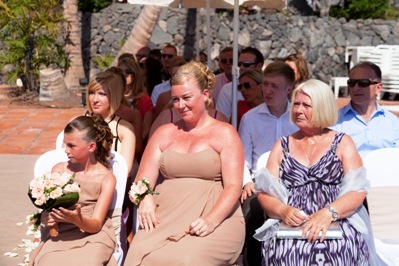 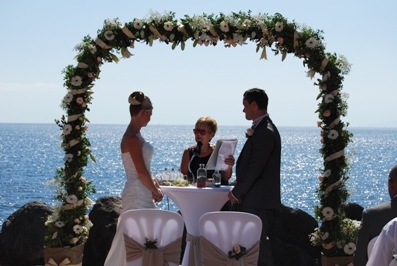 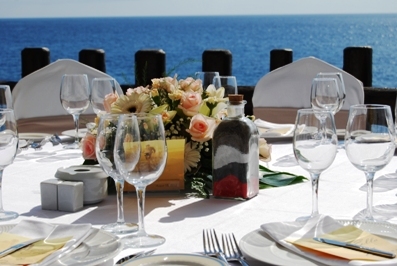 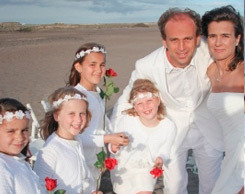 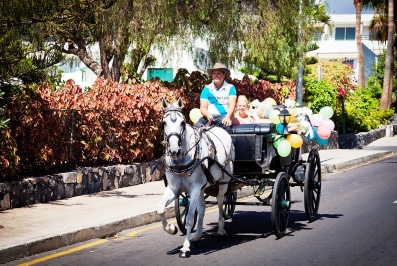 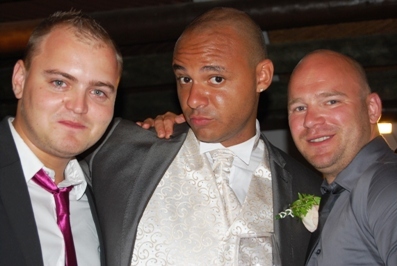 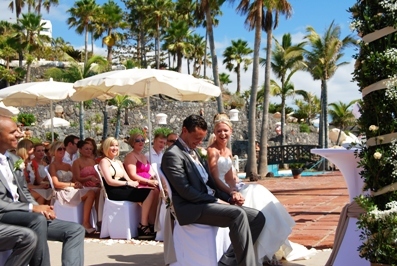 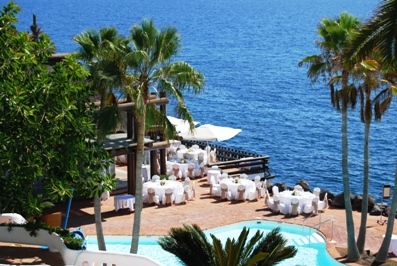 Have a look at the photos and get an idea how perfect a wedding in Tenerife can be! 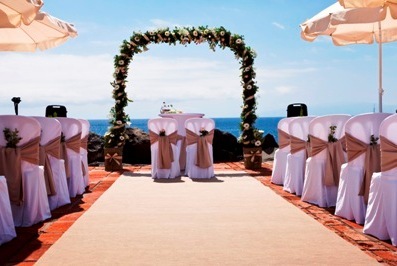 The wedding venue in Tenerife is decorated for the wedding ceremony of the lovely bridal couple! 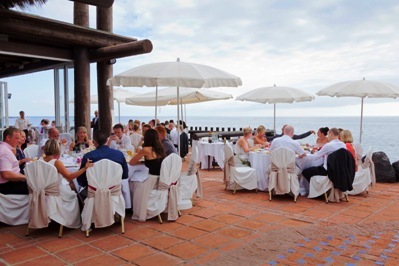 Also for their dinner and party everything is done! 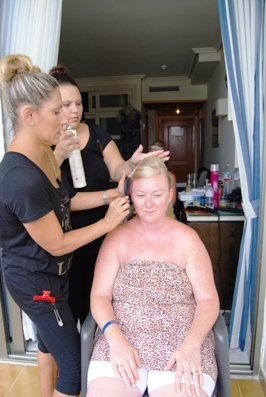 The bride and her bridesmaids during the professional styling of hair and make up to guarantee perfect looks. 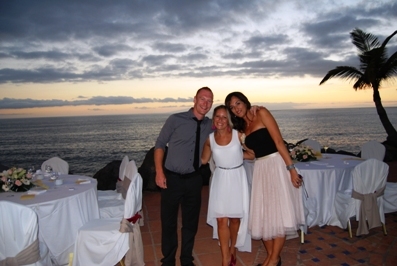 They enjoy every second in Tenerife. 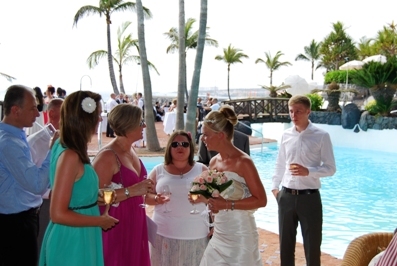 Everybody is waiting for the beautiful bride! 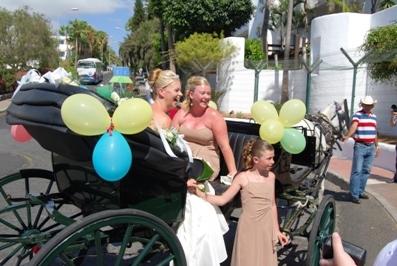 Like in a fairytale the bride and her bridesmaids arrive at the venue with a horse and carriage! 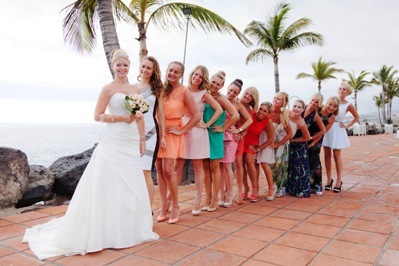 A warm reception of the bride and her bridesmaids and everyone’s excited to start the ceremony! 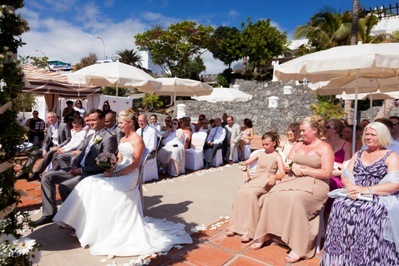 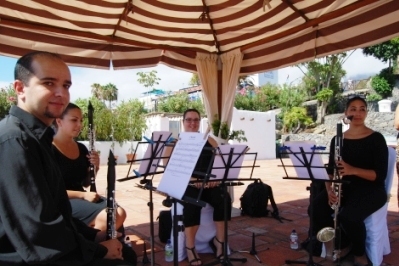 The weather is perfect for a stunning wedding ceremony in Canary Islands. 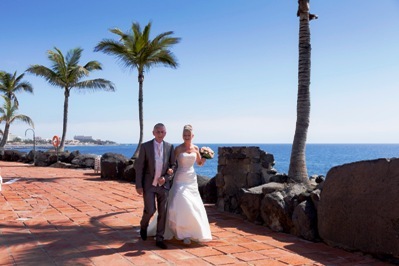 It´s an old tradition that the bride’s father walks his daughter to the altar into the arms of her future husband! 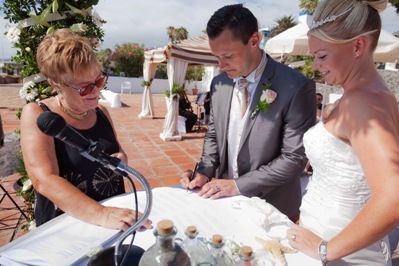 Our marriage celebrant has prepared a wonderful speech – personal and very touching! 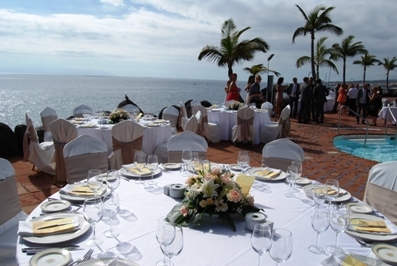 Both of them are very happy to tie the knot with a fantastic view to the Atlantic and the neighbouring Island “La Gomera”. 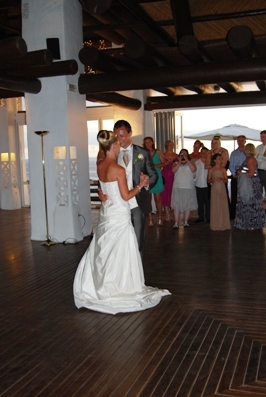 During the ceremony the love of the bridal couple filled up the air. 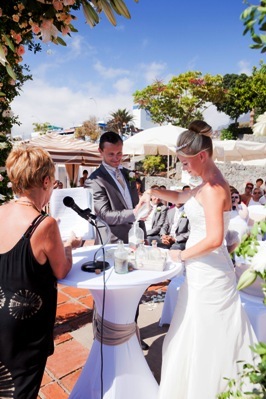 The hand ceremony is a very lovely idea of the My perfect wedding team! 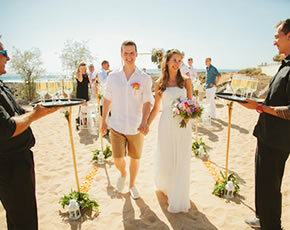 Through the sand cermony the couple shows each other and the world how deep their love is and that they always want to be together. 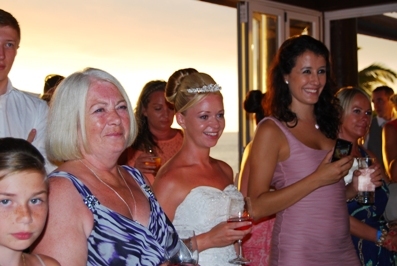 A very talented quartet accompanied the whole ceremony with romantic songs! 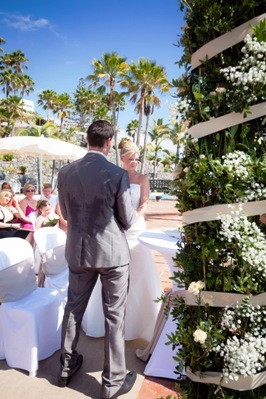 Their wedding kiss seals their bonding! 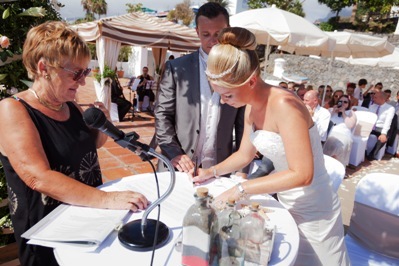 The just married couple signs the wedding certificate! 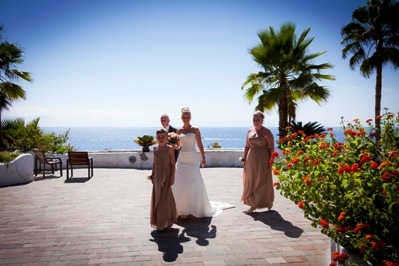 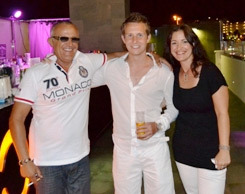 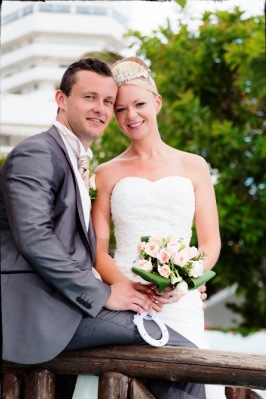 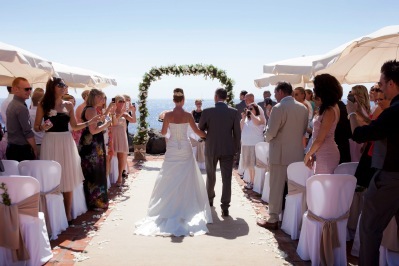 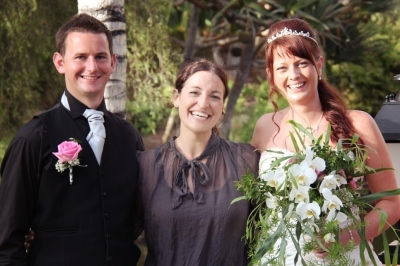 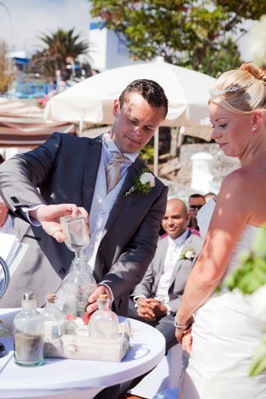 The couple is overwhelmed by the fantastic atmosphere and the stunning venue in Tenerife. 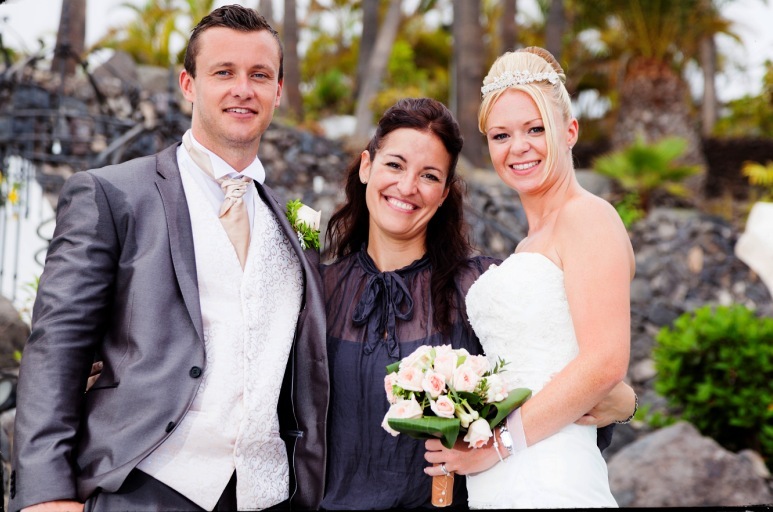 Nadine García Breuer, wedding planner in Spain, took care of every detail to guarantee a wonderful day for bride, groom and their guests! 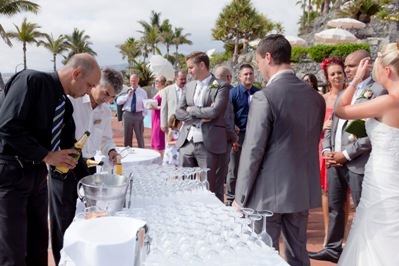 After the ceremony they move to the cocktail area with delicious drinks and snacks! 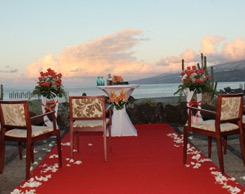 The area is exclusively reserved for the wedding, so the guests can enjoy the venue and stunning views to the fullest. 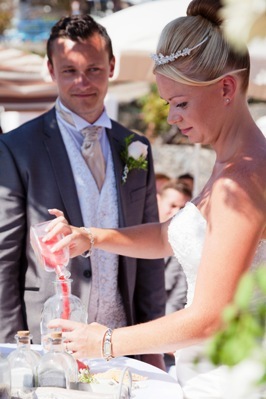 A glass of champagne to congratulate the just married couple! 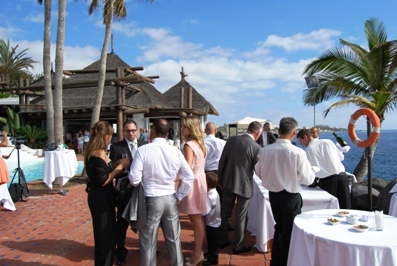 The guests are looking forward to the photo shooting and the reception meal in Canary Islands. 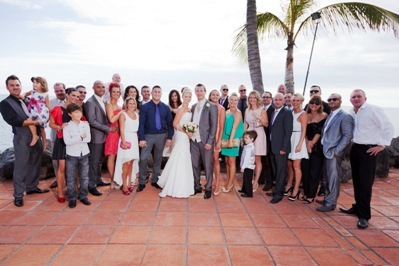 Here some group shots of the bridal couple and their lovely friends and family! 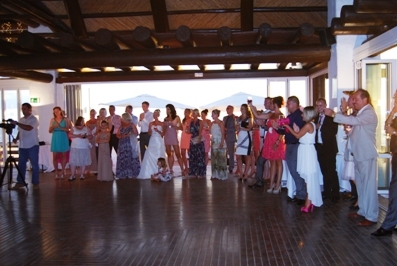 All the guests enjoyed the wedding photo shoot with the couple. 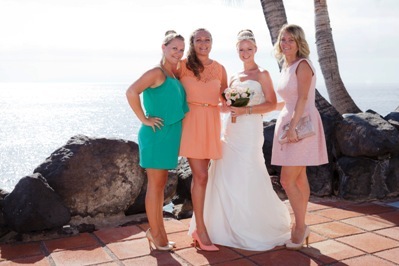 A very special lucky charm and the bridesmaids are always around the bride during the big day! 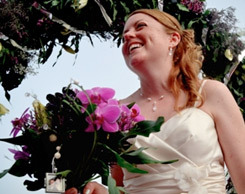 A wedding planner is only as happy as the bridal couple! 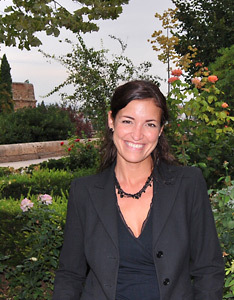 On this day Nadine García Breuer can be more than happy! 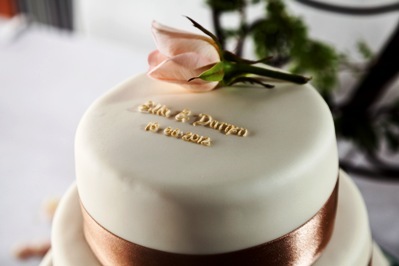 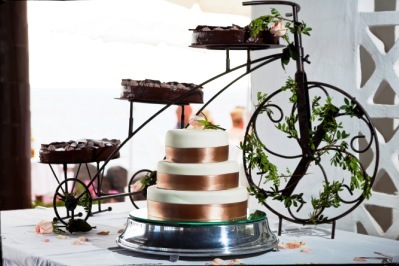 The delicious, decorated wedding cake! 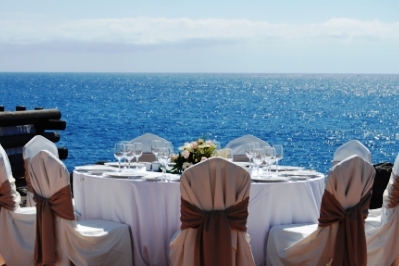 The reception meal beside the sea can begin! 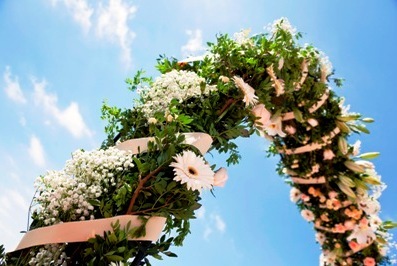 Perfect weather for an outdoor wedding underneath the sky! 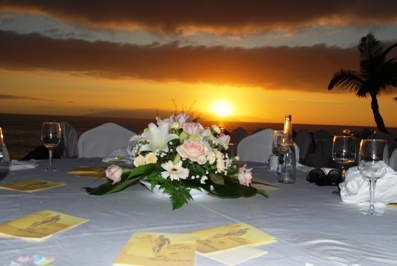 Sunsets in Tenerife are always a spectacle, this wedding venue offered a fantastic direct view! 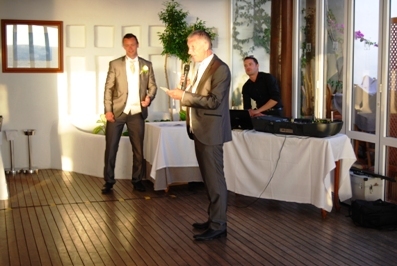 A very emotional speech of the bride´s father! 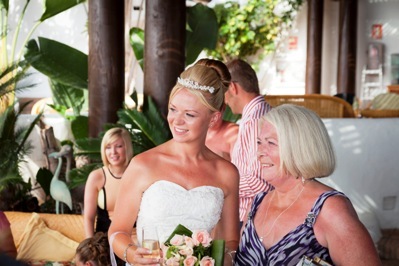 The bride enjoys her special day! 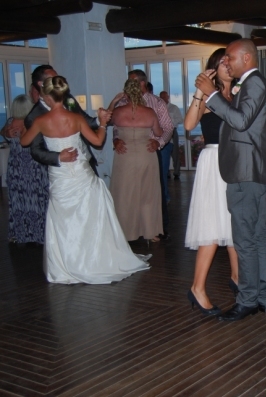 The best man sang a romantic song dedicated to the bridal couple, which then performed the first dance! 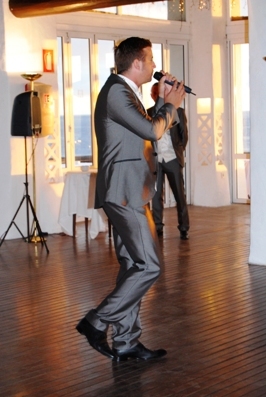 After the speeches and performances a DJ entertains the people with good music. 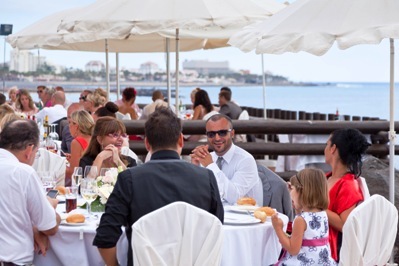 My perfect wedding wishes the bride and groom good luck for their future and we´re sure that both of them and their guests will never forget the fantastic venue and the blue sea, the warm weather and the delicious dinner and of course the great celebration of their wedding!